From awe-inspiring mega ships to nimble, intimate yachts, there’s something so calming about slicing through the water on a luxury cruise. You get to set sail and journey to destinations you’ve only ever dreamed of — all while being completely pampered on board! If you’re in search of your own next great adventure, our Southern Travel expert team invites you to discover our favorite luxury cruises below. 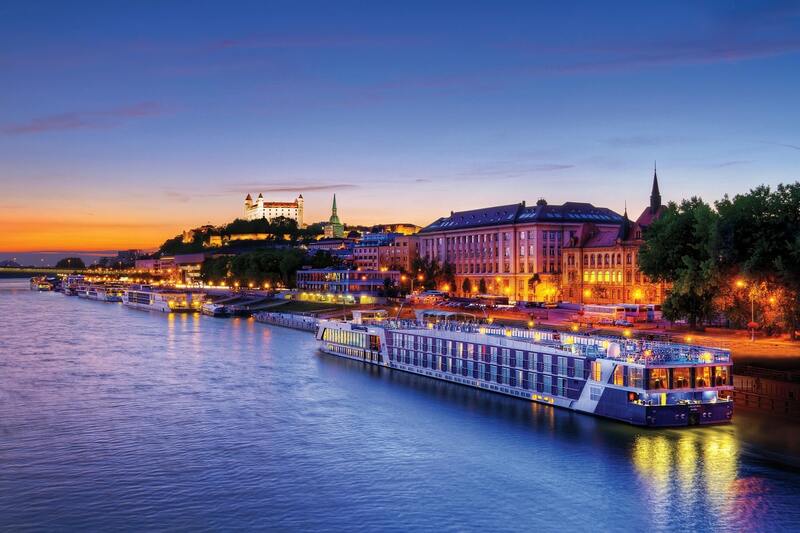 Explore Europe, Asia, or Africa in style on an AmaWaterways river cruise. 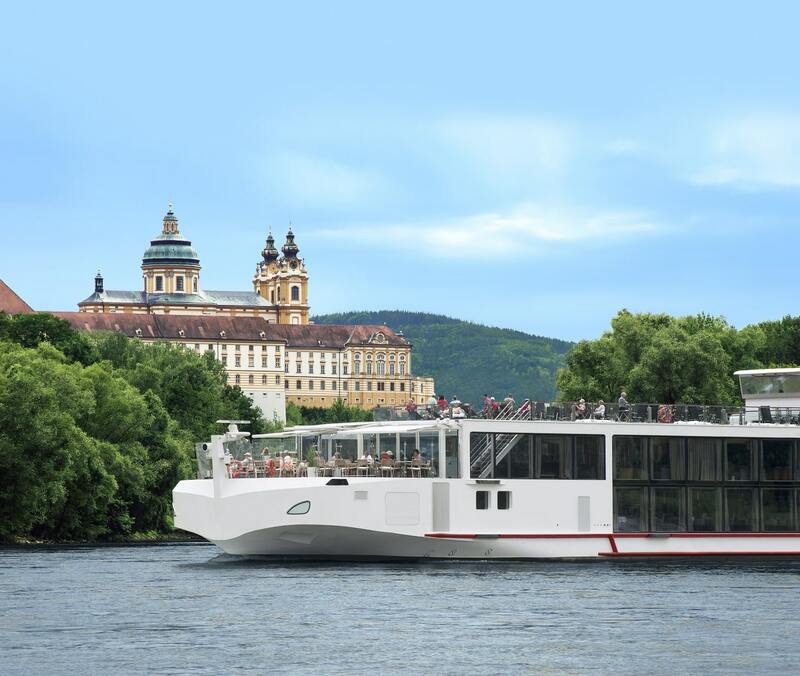 This is a great river cruise option if you want to experience a river cruise with wee ones, since some of Ama’s ships have family-friendly cabins. 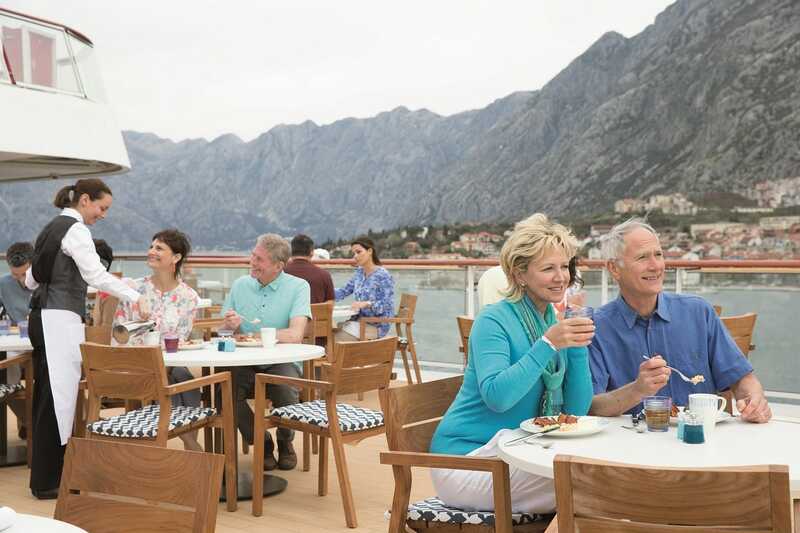 As an all inclusive luxury river cruise line, AmaWaterways offers free wine and beer with meals, shore excursions, and bicycles for every passenger. Looking for an upscale, sophisticated cruising experience? You’ll find just that with Celebrity Cruise Line, one of the most beautiful luxury cruises. Celebrity oozes modern luxury, with gorgeous, clean-lined cabins and fresh, inventive cuisine. Celebrity delivers a luxury cruise vacation sure to melt all of your cares away. You’ll feel like you stepped back in time to the Golden Age of cruising when you board one of the ships owned by this legendary British cruise line. White-gloved service, afternoon tea, and large luxury ships are sure to dazzle you. Sail away on a transatlantic trip to remember with Cunard! Savor the journey on a Holland America cruise. This premium luxurious cruise line boasts an impressive history, first founded in 1873. You’ll enjoy a traditional cruising experience focused on enrichment and superior service. If you’re in search of a once-in-a-lifetime trip, consider Holland America’s top-notch around-the-world luxury cruises. A leader in experiential luxury travel, Kerr and Downey provides transformational luxury cruise experiences for discerning clients. Sail down the most legendary rivers in the world — like the Nile, Yangtze, and Amazon — on small ships with high-end amenities. Discover parts of the world you’d never thought you’d lay eyes on, while every care is catered to on a Kerr and Downey luxury cruise. Let Lindblad whisk you away to one of the far corners of the globe on an adventurous cruise like no other. With itineraries in breathtaking destinations like the Galapagos and the Arctic, Lindblad focuses on bring you up close to stunning natural surroundings. Lindblad operates its luxury cruises in partnership with National Geographic, so you’ll experience the perfect blend of luxury and learning on board. With a motto like “Come Back New,” you know you’re in for a rejuvenating experience when you sail with Princess Cruise Lines. This premium luxury cruise line can take you all around the world, with luxurious cruise destinations in Asia, Australia, and Europe — plus favorite standbys like the Caribbean and Alaska. Regent Seven Seas Cruises offers itineraries that can take you to over 300 ports worldwide. This luxury cruise line sets itself apart with exceptional dining and service on board. Moreover, Regent Seven Seas is also known as a leader in around-the-world luxury cruising. Royal Caribbean has a well-earned reputation for fun, lively cruise experiences that the whole family will enjoy. This luxury cruise line’s ships are real marvels — Royal Caribbean built the largest luxury cruise ship in the world, the Harmony of the Seas. You’ll also enjoy innovative activities on board, like ziplining, rock climbing, simulation surfing, and more. This is small ship luxury cruising at its finest. SeaDream Yacht club is a pioneer in the small ship cruise space, making guests feel like they’re the only ones on board. Honestly, a trip aboard SeaDream is the next best thing to owning your own luxury yacht. Or maybe even better — since SeaDream’s impeccable luxury cruise service means you won’t have to lift a finger! Seabourn is the first and last name in ultra-luxury cruising. You’ll enjoy a refined atmosphere on board, where life takes on a slower, utterly relaxing pace. The more intimate size of Seabourn’s luxury cruises and cruise line ships also mean they can take you to destinations that are simply out of reach for other, larger luxury cruise lines. A luxury cruise line headquartered in Monaco, Silversea Cruises boasts an impressive pedigree. On Silversea’s smaller ships, guests enjoy all-inclusive, ultra-luxury. Every cabin on a Sliversea ship comes with an ocean view and butler service — how’s that for a little luxury? Tauck’s river cruises through Europe were designed with intrepid explorers yearning to expand their horizons in mind. You can embark on a cruise that specifically fits your interests with Tauck’s themed luxury cruises focused on food, music, or the Christmas Markets of Europe. 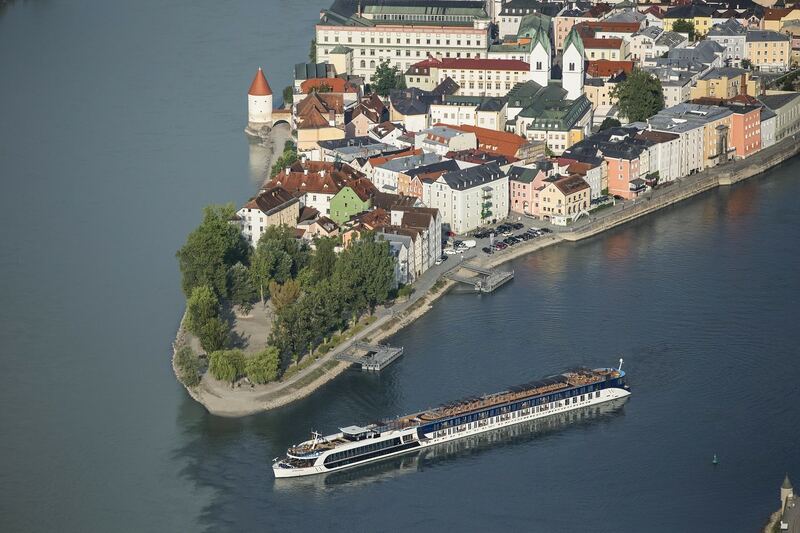 Tauck’s family adventures are a great way to experience river cruising with the kids as well. Another top option for those interested in luxury cruises down the world’s great rivers, Uniworld Cruise is a boutique line offering a personal touch. Explore Europe, Russia, Egypt, or China with Uniworld Boutique River Cruise Collection for a relaxing way to see awe-inspiring sights. Many of Uniworld’s luxury ships only have room for 150 passengers or fewer, for an intimate experience on board. Viking Cruises may be the best-known name in the luxury ocean cruise and European river cruise market — with good reason. This upscale-yet-affordable river cruise line represents a relaxing way to explore some of the most beautiful countryside and bustling cultural capitals in the world. River cruising necessitates smaller ships, so a Viking cruise is perfect for those in search of a more intimate way to sail. Luxury cruises are an incredible way to see the world. Each morning you wake up in a new destination — but you only have to pack your bags once! In addition to utter convenience, luxury cruises provide impeccable service, all inclusive amenities, and the best sunsets you’ll ever see. Want to embark on one of our amazing luxury cruises yourself? Get in touch with the cruising experts at Southern Travel Agency so we can help you set sail soon! For a truly exceptional vacation experience, our travel packages deluxe created specifically for you will transport you to a world of utter indulgence. Imagine a getaway where every one of your cares is catered to … think sumptuous spas, five-star dining, and private tours and excursions. Our dedicated team of online travel advisors is there for you during every step of your journey. Imagine: actually having an expert to talk to who will happily answer all of your travel questions! When you work with Southern Travel Agency, you have a travel advocate in your corner who’s there for you every step of the way. We pride ourselves on our clear communication with clients, while we take care of every part of the booking process for them. It’s travel made easy — finally! Our team serves our local clients and can conduct any consultation session over the phone which allows them to serve clients all over the world, at any location. Areas we serve but not limited to: Georgia GA: Athens, Atlanta, Augusta, Dublin, Eaton, Elberton, Grovetown, Hartwell, Hephzibah, Madison, Savannah, Thomson, Waynersboro, and Vidalia. South Carolina SC: North Augusta, Aiken, Greenwood, Lexington, Newberry, West Columbia, Columbia, Clinton, Orangeburg, Anderson, Winnsboro, St George, Piedmont, Clemson, Greenville, Easley, Spartanburg, Sumter, Hilton Head Island, Hanton City, and Greer.